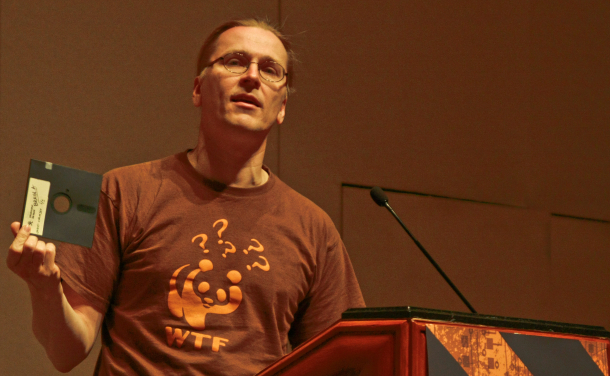 Mikko Hypponen is an expert on cybercrime and chief research officer at F-Secure Corporation in Helsinki, Finland. TED is a nonprofit organization dedicated to "Ideas worth spreading," which it distributes on its website. In the real world, you only have to worry about the criminals who live in your city. But in the online world, you have to worry about criminals who could be on the other side of the planet. Online crime is always international because the Internet has no borders. Today computer viruses and other malicious software are no longer written by hobbyist hackers seeking fame and glory among their peers, but by professional criminals who are making millions with their attacks. These criminals want access to your computer, your Paypal passwords and your credit card numbers. Criminal online gangs recruit people with high level computing skills but no job opportunities in the real-world economy. There is now a global market for sinister crimeware -- viruses, worms, trojans, spyware -- that is produced and sold on underground market sites on the Web. The international community has failed to address the real nature and extent of the problem. National police forces and legal systems are finding it extremely difficult to keep up with the rapid growth of online crime. They have limited resources and expertise to investigate online criminal activity. The victims, police, prosecutors and judges rarely uncover the full scope of the crimes that often take place across international boundaries. Action against the criminals is too slow, the arrests are few and far between, and too often the penalties are very light, especially compared with those attached to real-world crimes. We are sending the wrong message to the criminals and that's why online crime is growing so fast. Right now would-be online criminals can see that the likelihood of their getting caught and punished is vanishingly small, yet the profits are great. If a gunman walks into a bank and demands cash, the police are ready to leap into action. If international borders are crossed during such a crime, the international police agencies become involved. If the gunman is caught, there is always a trial and the bank will push the prosecutor for the maximum penalties possible. This is not the case with online crime. Virtual gunmen are free to roam with almost nobody to stop them. Online crime is always international but local police authorities usually only have their local resources to conduct the investigation. Online crime is easier to carry out than "offline" crime and costs less to get started. Computer security companies are doing their best to protect their customers' computers but little can be done directly by non-governmental organizations to fight the criminals at the heart of the matter. Anti-virus companies are not law enforcement, nor should they be. Tackling online crime requires a serious investment of resources on the international level and expert law enforcement agencies need to follow criminals into the online world. Traditionally, international law enforcement has focused on large international crimes such as drug trafficking or smuggling. Countries involved in investigations like these can easily see the value of catching such criminals. However, online crime is typically composed of small individual crimes. The attackers don't hack the bank, they hack the bank's customers. One victim might have only lost few hundred dollars from his bank account. Starting an international investigation looks like an overkill and thus getting international cooperation might be difficult. The problem is, of course, that there is more than one victim. A banking trojan botnet might steal money from tens of thousands of people at the same time. What we need is an international police force with the enforcement power to really target the organized crime that operates on the net. It would investigate the top of the crimeware food chain and track down the people who are running the online crime syndicates. Each member country would be required to co-operate with others, regardless of the apparent size of the crime. Of course, establishing such a new force would mean a number of legal challenges. For example, malicious code is often created in countries where it is not even illegal or where the perpetrators are not prosecuted. In my opinion, such an agency should focus only on fighting international malware crime gangs. If it would try to extend to other areas, such as fighting pirates or hactivists, things would get much more complicated. Nobody wants banking trojan gangs around, and we should focus on this problem. The last thing I'd want is some sort of a net police that would try to restrict the freedom of the net. This very freedom is the reason Internet has become as useful as it is. But we need to take action now. If we don't, online crime will continue to grow stronger and we might risk losing all the great benefits the net has brought to us. Our generation is the first generation that got online. We should make sure this resource will stay around for future generations.